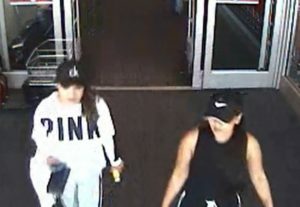 Investigators with the Bell County Sheriff’s Department are investigating a burglary of a vehicle that occurred on Saturday, July 14, 2018 at the Stillhouse Park in which stolen credit cards were subsequently used to make fraudulent purchases totaling nearly $10,000 at various department stores in Temple, TX. 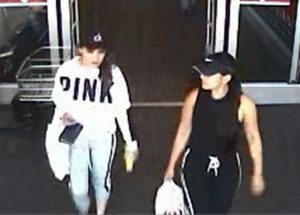 Attached are still-shot images of the suspects, taken from a business surveillance camera on 7/14/18. 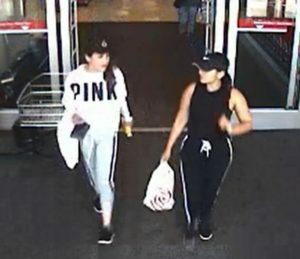 Investigators with the Criminal Investigation Division, obtained photos of these two females from a business surveillance camera and is asking anyone who can identify them, or may have information to contact the Bell County Sheriff’s Department hotline at 254-933-5539, or Crime Stoppers at 526-TIPS (8477), go online anonymously at www.bellcountycrimestoppers.com or text BELLCO along with the tip to 274637. Text HELP to 274637 for help with the tip or text STOP to 274637 to stop the tip. 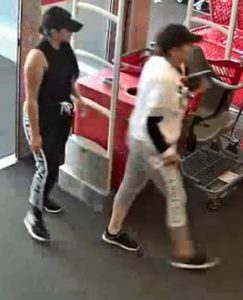 All information is confidential and anonymous and if your tip leads to the arrest of the suspect(s) in this case you could be eligible to receive a reward up to $1,000 in cash.